Claire Tremaine accepted the post as sole caretaker of a gorgeous island after a professional betrayal left her life in tatters. It's the perfect place to heal, until her solitude is interrupted by a gorgeous solider who's shipwrecked on her shores! Raoul breaks down Claire's barriers with his kindness and kisses, but she's stunned when he's revealed as Prince of Marétal. She believes they can't be together…until Raoul whisks Claire to his palace! 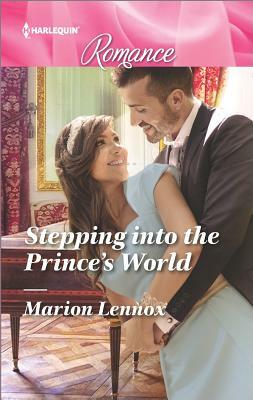 She's stepped into the prince's world -- but can Claire capture this prince's heart?